It’s been a great week to be Irish. Actually, every week is great to be Irish. Katie Taylor’s lifelong dream came true, and Micheal, John Joe, Paddy, and Cian, our other medalists, also got the world talking with their heroics in London. They gave the whole country a lift. The summer is coming to an end and the weather (except for today) has not been in our corner. Our success at the Olympics was just the tonic we needed! I had another burst of Irishness this week too. My niece, Danielle, who lives in Levittown, PA, was home for a few weeks. She missed the wedding but got to come over before she goes back to school. I went to Kerry to pick her up. She is only 15 and after spending a few days with my parents she was feeling bored, so I decided to take her to the big smoke. Now what do you do with a 15-year-old who likes classic rock and who doesn’t seem to be in touch with her Irish heritage? 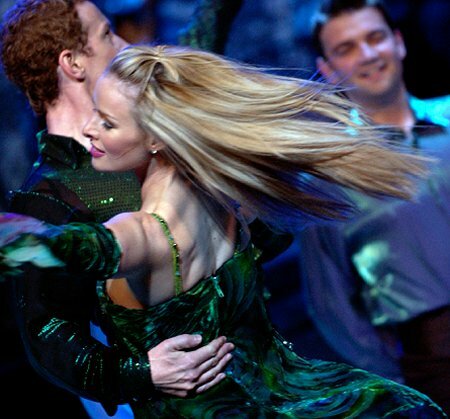 You bring her to "Riverdance" of course. This was my wife’s idea, I must add. I didn’t think Danielle would enjoy it and was trying to think of other things to do. Rita was convinced she’d like it and so we headed for the Gaiety Theatre in Dublin. Well, how wrong was I? Very, to be honest. She absolutely loved it, every part of it. Her Mam, my sister (RIP) was a great Irish dancer when she was young and I think this added to the occasion. I hadn’t seen "Riverdance" in a good few years. What a show! It’s easy to see how it went global, with around four different companies on the go when it was at its most popular. The dancing is just amazing. When you think of the training they have to do. To be able to dance at that speed and at that level takes a life devotion. It is similar to that of Katie Taylor when you think of it. It’s very hard to stay still in your seat. I remember the first time I saw "Riverdance" on TV in 1994 when it was a half time filler at the Eurovision song contest. We were in a pub dancing ourselves, set dancing as we did on a weekly basis back then. We all thought we were great dancing and to be fair we weren’t bad, but when we saw this, our jaws dropped. We knew something special had happened and so it proved. It was great to see my niece, all these years later, feel it too.